Siret : 776 550 766 000 13 - AU : IM074100077 - Association loi 1901. The personal data collected about you, are mainly, according to your choice and the setting of your terminal (especially with regard to cookies) : your civility, last name, first name, email address, postal address, country, telephone number, payment information (on E-Commerce Supports), your login logs (IP address), as well as the information you give us when you contact us (mainly for archival purposes). These data are collected on the basis of your consent. 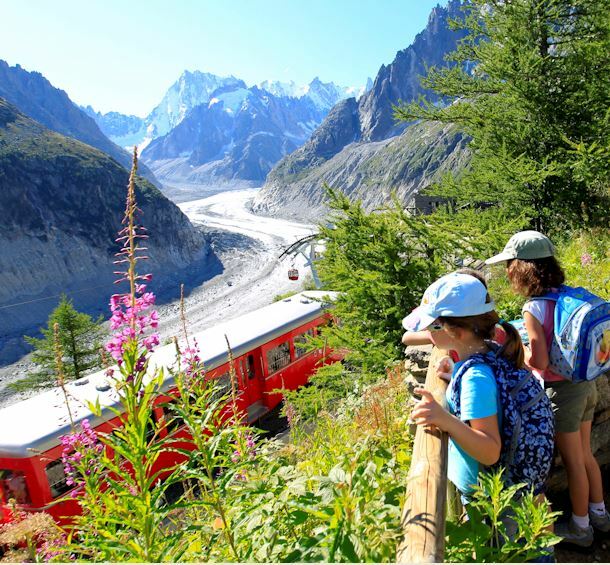 The data that is mandatory for the Chamonix-Mont-Blanc Valley Tourist Office to fulfil the purposes that are described above is marked with an asterisk on the various pages of our Supports. Should you not fill in these mandatory fields, the OTVCMB may not be able to take care of your demands and/or to provide you the requested services. Other Data is purely optional and allow us to know you better and to improve our communications and services accordingly. Your personal data is processed by the relevant departments of the Chamonix-Mont-Blanc Valley Tourist Office (OTVCMB). They will not be transferred or made accessible to any third party subject, on the one hand, of the subcontractors of the OTVCMB for purely technical or logistical reasons such as the hosting and maintenance providers of the websites managed by the OTVCMB. On the other hand, in order to obtain the products or services you request, we only share the strictly necessary personal data that enables our partners to provide you their services. Finally, the OTVCMB may disclose your data to third parties if such disclosure is required by law, by a regulatory provision or by a court ruling, or if this disclosure is necessary to ensure the protection and defense of its rights. Your personal data is stored either in our databases or in those of our service providers located in France. These data can not be stored outside the European Union. We inform you that no personal data transfer abroad is performed. In accordance with applicable personal data protection laws and regulations, you have a right to request access to, rectification or erasure of your personal data, or restriction of processing, and to object to said processing, as well as the right to data portability to the extent applicable, subject to any overriding legitimate grounds that the Chamonix-Mont-Blanc Valley Tourist Office might invoke to retain your data. Moreover, you may request that we stop sending you information about our offers, news and events by using the hypertext link earmarked for that purpose in each e-mail that we send you. The personal data that are collected by the Tourist Office of the Chamonix-Mont-Blanc Valley (OTVCMB) are subject to computer registration for a period of 3 years. If, after this period, you have shown no desire to stay in contact with us, your personal data will be deleted. Also, the information transmitted during a registration on the online photo library are kept as long as the account is not deleted. Finally, the login logs collected, subject to your agreement, in the context of cookies set up on our site, will be kept in accordance with the applicable regulations for a period not exceeding 13 months. For more details, see the cookies section below. These cookies are essential for you to browse the site and enjoy its features. We use these cookies on our merchant site at the reservation basket level to allow the online booking system to function properly and to retain the cartel data. Should you have any question about the collection and processing of your personal data by the Chamonix-Mont-Blanc Tourist Office (OTVCMB), please contact the data protection officer of the OTVCMB by sending an e-mail to dpo@chamonix.com. You also have the right to contact the Commission Nationale Informatique et Libertés (CNIL), 3 Place Fontenoy - TSA 80715 - 75334 PARIS CEDEX 07, to make a claim.